We are excited to host The Comical Mystery Tour for a very special dramatic culinary event featuring visiting chef, Jesse Curtin! The Comical Mystery Tour represents a "New Dimension" in theater. 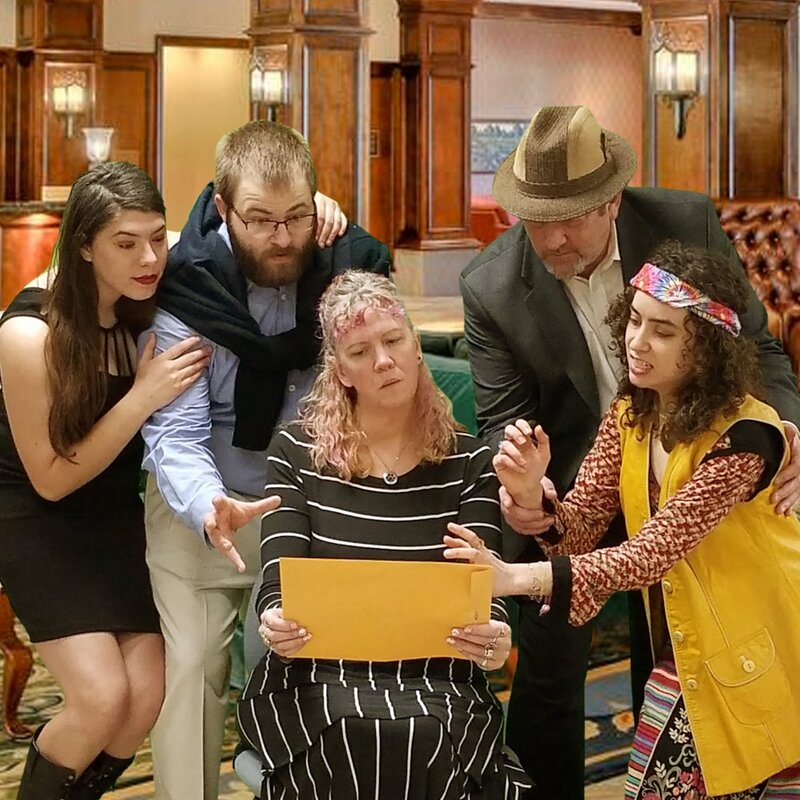 We offer hilarious murder mystery shows that are as interactive as you want them to be. If you want to be a part of it, we'll give you lines or break the fourth wall and include you in a conversation. If you'd prefer to just watch, we'll do our best to make you laugh and enjoy the evening. The show running through April is Goodfella, Deadfella. It is a special night for Don Yukon Cornelius. His major renovations for his club are just about finished and you have been invited to join him for the unveiling of his newest gaming rooms. As leader of the Eco-Unfriendly Gang, he takes great pride in wasting resources, but someone decides to waste him. Come along and make your wager on whether it was his ex-girlfriend, Fay Daway or his right hand man, Little Billy Bosco. Might it have been his step God-Daughter, Sheila Blige or maybe it was the fill in comedian, Sal Manilla. Odds are in your favor to have a great time no matter who dunnit, but can you figure it out and win big?